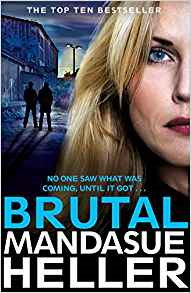 ​A bereaved husband is faced with a devastating choice in this gritty thriller from the top ten bestselling author Mandasue Heller. I wait in anticipation each year for the release of a new Mandasue Heller book. This author for me is one of those authors whose books I don't even read the blurb for. If Mandasue has written it, I want to read it. I was really looking forward to reading this book and I can safely say, it did not disappoint. When Frank lost his lovely wife his life seemed broken and lonely. His daughter is emigrating and his son has his own life to live with his wife. Living on a farm makes him seem even more lonely. not having immediate neighbours and someone you can just chit chat to if you go out your front door, Frank seems to have sunken into a slump. When hearing noises on the farm one night he goes to investigate and comes across a woman who seems to have been injured some how. It's only normal that frank would want to take her in and help her, you cant leave a young lady out in the cold with her injuries. Over the coming days Frank helps Irena get better, in turn she helps Frank and an unlikely bond develops. But what is Irena hiding and what is Frank going to find out about her, what is going to end up getting involved with. This was a brilliant read, it showed how loneliness can affect people and make them very vulnerable. How your quiet life can then seem the best life you could wish for. This book deals with unpleasant issues, but issues that are also real, we sometimes believe that things only happen in fictional stories but this book covers some of life's real yet unpleasant stories. I think the author has covered abuse, manipulation, gangs, drugs and prostitution in real light, highlighting that as much as we don't want to believe these things happen, it's a daily occurrence for some. 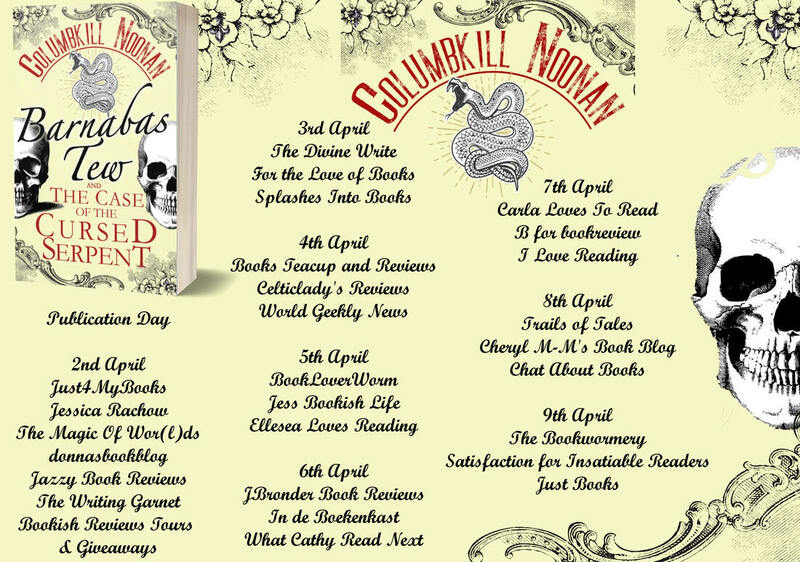 Thanks as always to the wonderful Sabah Kahn for allowing me the chance to be part of this blog tour. I was eager to read this book as it seemed a little different. An easy to read and follow story based around family, lies and deceit. A great opening had me hooked and the short read I'd planned in the bath turned into a good few chapters. The story kicks off with Hannah's sister, Diane turning up on her doorstep along with her teenage daughter, Mia. Hannah hasn't seen her sister or her niece for almost a decade. As the books starts you are eager to know why she has turned up, why now? Is she in trouble. There are many thoughts going through Hannah's mind. Hannah phones her husband at work to come home, she needs backup and support. It seems odd when Diane asks Mark and Hannah if they can watch Mia for a few days. She needs somewhere safe for her daughter to stay, but won't elaborate why. This is when to book gets really interesting and the story begins to unravel what has gone on in the past. Is this visit from a long lost sister going to change life for the happy carefree couple Mark and Hannah, when they finally agree that Mia can stay with them. Hannah, although hasn't seen her niece in all these years did love her little niece and had a close bond with her back then. Knowing her husband never wanted to have children was something Hannah went along with. Now they both have a child in their lives even if only temporary is it going to upset their carefully planned out lives. Can the past be buried and all move on? This book certainly delves into family secrets. If this doesn't make you think about not keeping lies, then nothing will. 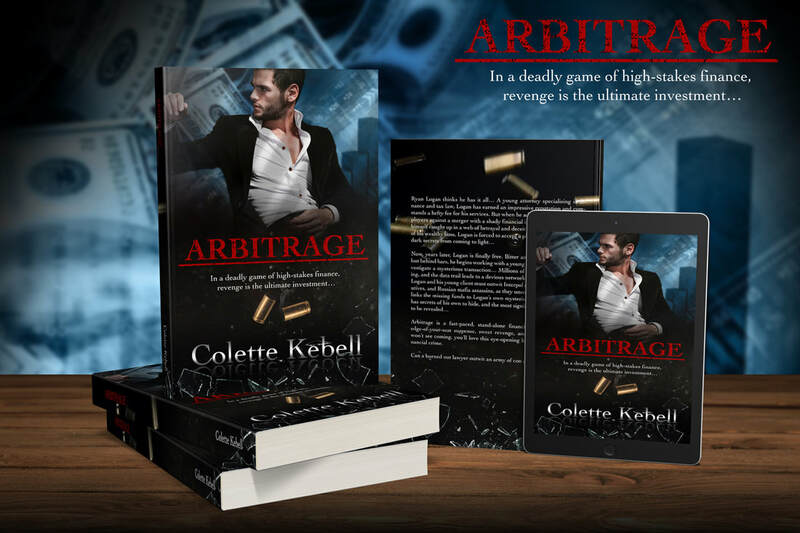 This book is a real interesting read with some great mystery built up,it's one of those books that you want to and need to keep going with so once started you'll fly through it. I actually found it quite an addictive read. Great characterisation even though at times some characters did annoy me. lol. Grab yourself a copy, get those feet propped up and get stuck in. I first shared this review back in 2018 when the kindle copy was published. 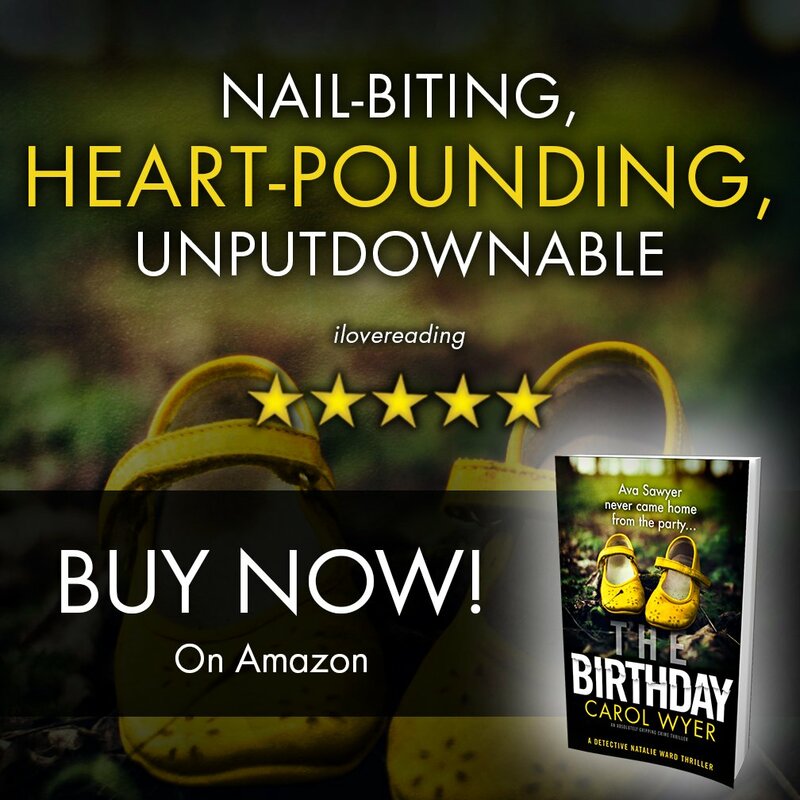 I'm now celebrating the paperback release by sharing with you my review again. I have since this, read another of Kerry's latests offerings and belive me when I say this lady is going places. Her writing style is first class and each and every book is just better and better. If you haven't read a book by Kerry Barnes then you really don't know what you are missing. Curled up over the bonfire weekend, fire roaring and a hot drink in hand, I didn't know what was more explosive, the books or the fireworks outside. It felt like the perfect time to be reading this explosive book. I don't know where to start, this book has it all Deceit, corruption, murder, feuds, rivalry, violence. It's a first class page turner. If you're a lover of a good gangland thriller, then you really are in for a treat. ​The first book in a new series, I believe The Rules should be available in Feb 2019 followed by The Choice in May 2019. ​Both available to pre order now. This book gallops along at an amazing pace. Dragging you right into the story. At times I could feel I was there, I was so engrossed in it. There are, as you would expect some fantastic characters, and I believe like me there will some characters you love, and some you'll hate. Kerry has certainly worked her magic and has managed to bring these characters to life. I particularly liked Mike Regan, his bad boy, villain character, with a hidden softer side was a fave. Mike's world comes crashing down when his Son Ricky is Kidnapped. Having believed he was protecting his son, he sent his wife away with him thinking they would be safe. Mike enlists the help of Zara, a woman he has a past with, to help find his son. Zara Ezra is the new Woman about town. Having taken over her fathers firm, she has a lot to prove. It's certainly not going to be easy for Zara proving she can cut the mustard in what is believed to be a 'mans world. But Zara certainly isn't a weak and feeble woman, she's a woman with an agenda. A woman with a mind of her own, and power to back it. Or is she? I can see this becoming one EPIC series of books. Kerry Barnes is certainly making a name for herself in this genre, she's way up there with the best. 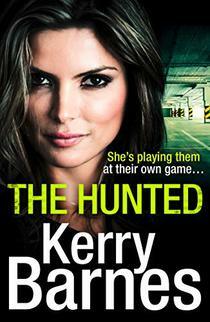 I'm relatively new to Kerry's books but I can safely say I haven't been disappointed with one yet. They really do get belter and better with each book. When I first read - Cruel Secrets, I really didn't believe not only Kerry, but anyone could top that book. Having read this one, I know I was wrong. Kerry has smashed it, Big time. First class story telling. If you are new to Kerry's books then OMG how awesome as you will get to read them back to back, WOW how exciting is that. Tissues, Chocolate and a clear diary. Is all you need when starting this book. A jump over to the bright side for my reading choice. I was so thrilled to be able to read an ARC of this book and be a part of the blog tour. Let me just start by saying I am so, so proud of what this lady has done. Kim Nash has followed a dream, written a book, had it published and put smiles on many, many faces with her words. Not just in the story of this book but by being an online friend to many, Myself included. Kim has been an amazing support for me, through troubles and health, always on the other end of a message. Kim I want to take this chance to say I am so, so proud of what you have done, and thank you for being an amazing friend. You have written a book to be mighty proud of. This 'AUTHOR' is one hell of a lady. Now the book, my views are my own and while this is a jump of genre for me, occasionally I love getting stuck into a feel good book. I started this one while soaking in a lovely bath, Epsom Salts, Radox, a cuppa and a bar of chocolate. Myself and my kindle spent a good hour soaking and getting to know Grace. I loved Grace immediately. One of those characters that from the opening pages you are rooting for. You fall in love with her character right away. 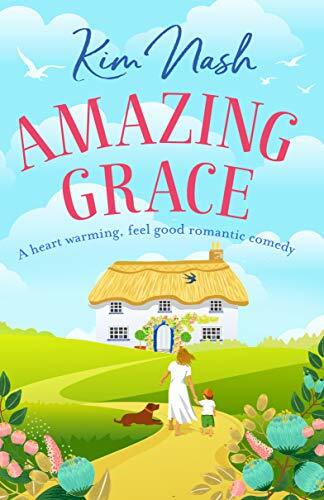 Grace is a single mother bringing up her young son alone and doing the best she can for him. Working as an estate agent allows Grace to be able to spend quality time with her boy as she is able to work around him and his school hours. Her boy is her life. Just the two of them plodding along. There is nothing else needed in Grace's life, is there? Well her friend clearly thinks there is and to start with that involves a wardrobe make over for Grace. Out with her tracky bottoms and her black clothes, in with the new. With this a new Grace is materialises. Following Grace on her new journey was amazing. Rooting for her every step of the way, shouting at her when I thought she was making the wrong choices, trying to advise her as she went along. I really connected with this character. I wanted Grace as my friend. The Character is just so lovely and someone that everyone can relate to in some form or other. I could go on a lot more about this book, but taking away the excitement of the story unfolding isn't something I want to do for the reader. I really can't wait for more from Grace and her family. This really is one of the best Chic Lit, feel good books I have ever read. This book will be going on my 'Must reads of 2019' without a doubt. This book was just totally EpicallyAmazeballz. A true feel good, feel good book. Lords of Death will take over the heavens. features the bumbling yet lovable Victorian detective Barnabas and his trusty sidekick, Wilfred. mysteries that will leave you guessing (and chuckling!) till the very end. Eleven souls are shipwrecked on an island teeming with sub-human cannibals. Who will survive to tell the tale? On July 20, 20— a charter school’s sponsored sail from San Diego to Hawaii hits a reef during a violent storm. Sixteen souls abandon ship. Nine students, along with the hated captain and first mate, wash up on what they believe is a deserted island. Separated into three groups by circumstance and mutual distrust, treachery and death lurk for all. Over the course of a single day, one student betrays all the others. Another drowns. Two others get ambushed by a great white shark. And, like falling dominoes, the captain, first mate, and six students fall prey to a tribe of bloodthirsty cannibals. In the face of almost certain death, who will escape the isle of savages to tell the tale? Briar spent his formative years in the treacherous worlds of The Savage Sword of Conan, The Warlord, and Jonah Hex comics. So he’s been fascinated with action adventure stories for most of his life. From there, he eventually discovered Jack London, Louis L’amour and Jack Higgins. These days he’s devouring thriller novels by James Rollins, Clive Cussler and a host of other adventure writers. This led him to start writing at an early age and he didn’t stop until he saw his name in print. Although, it wasn’t in the thriller genre. Not at first. But it was always a given that he’d eventually write and publish a thriller. It just took him a few extra years to get around to it. He lives in South Georgia with his wonderful wife of 25 years. Here is an excerpt for you to read. Sit back with a cuppa and enjoy. 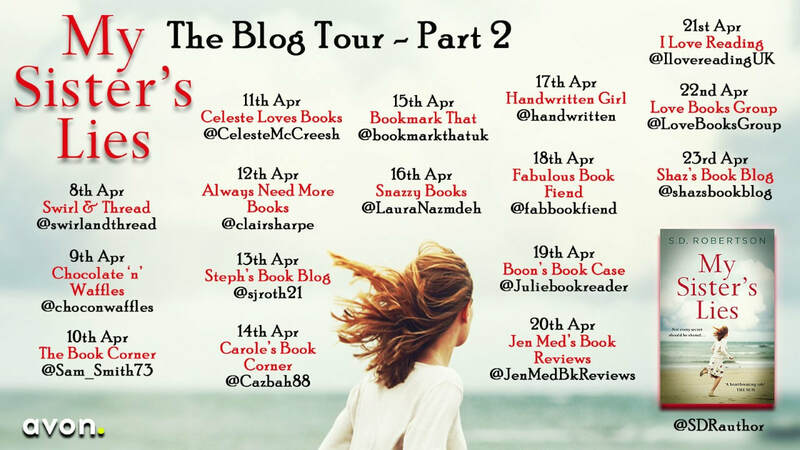 Thrilled to be taking part in the blog tour. 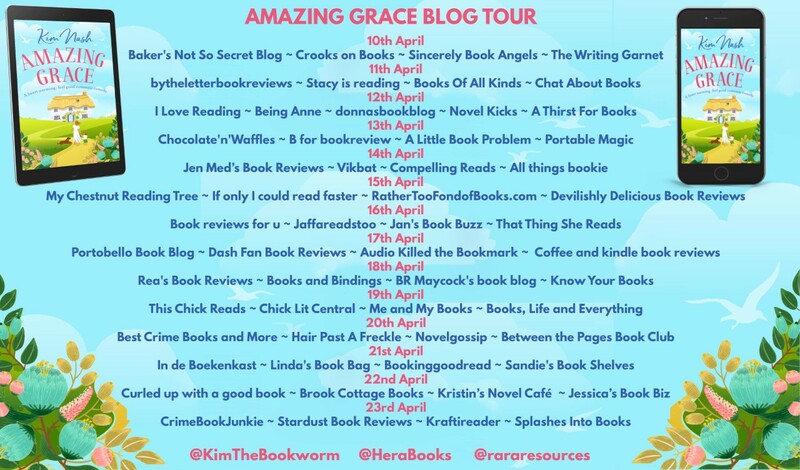 Hope you can follow the tour, there are some amazing bloggers taking part and I know there will be some amazing reviews on this book over the next few days. Dragged into the pages right from the beginning before you are spat out right at the end, wanting more. I love the characters that Mr Smith has created. Not just here in the Detective Beth Young series, but also in other books i've read by this author. He has a knack for giving you what you want in damn good read. i'm waffling again. But I just love books by this author. I look forward to each and every new book coming out, and as soon as I receive a copy, I have to start it. It doesn't matter what else i'm reading at the time, that has to stop. Curl up, clear your diary and get set for one hell of a ride. Beth is working for the Major Incident Team in the Lake District. A dedicated individual, who likes to get on with things a bit of a tough cookie and has a wonderful mind for working things out. A true asset to the force. I can see this girl going places, and I'm hoping to be on the long journey with her. Although it was lovely being back in the Lakes, its such a beautiful place, a beautiful background to a very disturbing case. Faced with the discovery of an elderly lady having been murdered its work caps on and case open. Beth really is work oriented, she lives and breathes the force, giving it everything she has. Thinking they had a lead on who the murderer could be seemed to come to soon, I was thinking what, no way... obviously it was no way, but a great way of getting you hooked. It really got my tiny brain working. Once the team realise what a sick individual they are looking for, some leads take them to looking back over cold cases, could this be a killer that has been out there for a long time. ​She ruined their lives. Now they’re going to destroy hers. Thrilled to be taking part in this blog tour. Here are my thoughts. Firstly, how have we ended up at book 10 all ready. Secondly for any Angela Marsons fans there is no need for me to go on any more, you know you want it, you know you will have pre ordered it a million years ago and we know you won't have time to be reading reviews that others have put up about the book. For everyone one else, why are you not all ready a fan of this authors work? Seriously, Once you get into this series there will be no stopping you. This is one of my all time favorite Detective series, I absolutely love the main character Kim Stone, I still don't know what it is that makes her so unique but she is, she's feisty, ballsy, no nonsense and just wants to get on with things. It's difficult to say what I mean without repeating what I have said over and over. Kim, Bryant and Stacey still have the death of Kevin Dawson clear in their minds, he will always be missed. They seem to be getting used to newest member - DS Austin Penn, I think everything takes time and once they all finally realised he wasn't Dawson then things become easier. The team are up against it this time around, certainly Kim who is trying her best to pretend the case they have been landed with has nothing to do with her personally, it's just a coincidence that some of the details resemble something in her past. But who the hell is she trying to kid? because if it's herself she's failing miserably. When Kim realises that she is going to have to share some of her past with others it's a moment of weakness to her, It's something she has kept hidden from most for a long. long time and feeling she has to share her private thoughts is hard going. This case has got personal. I know nearly everything i've said is just repeating myself from previous books, but honestly Angie Marsons must have decided long ago to hold back and throw some of the best of Kim Stone for these later books. This series of books is phenomenal, and just get better each time. It's a wonder the readers are still here to review with the amount of times you hold your breath while reading. Total page turner. Clear your diary, have a few days off and curl up with this bad boy. ​This is a quote from the review of Book 9 in the series, I think all i need to say this time is 'it will hit the 2019 MUST READ LIST', my feelings are just the same. She first discovered her love of writing at Junior School when actual lessons came second to watching other people and quietly making up her own stories about them. Her report card invariably read "Angela would do well if she minded her own business as well as she minds other people's". ​Eighteen years ago your baby daughter was snatched. Today, she came back. Well having a few days needing complete rest has really helped me get through a few books, I decided at the start of the year I would get through some of the older books I have outstanding that need reading. So here I am, this time around I have chosen The Girl You Lost by Kathryn Croft. This is one of those books that has characters that are real and feel almost like you know them. It's a Psychological thriller with twists galore. You really do get dragged into the story of this book. How do you cope with life when your child is snatched. How do you move on from something as heart wrenching as that. 18 years later Simone is confronted by a young lady who believes she is her daughter. A lot of questions need answering but when Grace the young lady who confronted Simone, believing to be her daughter disappears again, there are even more questions to be answered. Simone is then on a mission to find the truth. A race to find the answers needed could cause a whole heap of trouble and danger. As the truth becomes closer you really find yourself wanting answers, for a good outcome, for things to be solved and work out. Very cleverly put together and makes interesting reading.